Free Is Not The Opposite Of Commercial - What Do You Care What Other People Think? What's your take on this concept of users having control over their computing and not running a proprietary "black box"? Is that a goal you support? It isn't clear to me what the end goal of the Codeplex Foundation is. Stallman seems to be concerned that you want to distract developers into building applications that will keep the underlying system proprietary. Can I suggest that the Codeplex Foundation add to its mission, the creation of a fully free operatin system. Interesting observations. But one word you really need to mind is the word Free. As (primarily) an Apache License developer, I've dropped the words Free, and the letters F/L from OSS to describe most open source software. Free has become a religious word. It doesn't describe operational costs of using or adopting open source. It doesn't describe the cost of the package downloaded at no charge, or obtained at cost from a trusted developer/company. This is true even of FSF source code. If you claim Open Source, the code needs to meet the OSI's definition, and in large measure, both FLOSS and OSS communities can get behind an open flavor and distribution of specific code. But by using the word Free, you are ascribing code to the FSF view of a political/religious agenda in which all software must be open source. You (deservedly) subject your code and agenda to the scrutiny such as Chris's observations above. I don't fault FLOSS advocates for their argument or worldview (except those playing GPL+propritary games in a futile attempt to curry favor of both audiences, and satisfying neither). But whether the mission is to create distribute and promote OSS, or advance a FLOSS agenda, words matter. Your examples of DotNetNuke which is not FLOSS, or SugarCRM which is arguably not FLOSS until it adopts an AGPL license, both confuse the discussion. Just to clarify; none of the above suggests that CodePlex could not engage Free Software community projects. I only raised the question of whether CodePlex should put its hat into that ring as a supporter of Free Software. As you say, these are not diametrically opposed. @Chris M - I'm not aligned with the recommendations you're making. The Free Software Foundation has been established for many years and is committed to the goals that you laid out in your post. 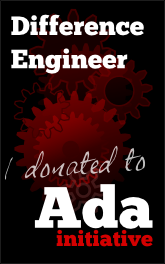 The CodePlex Foundation's goal is to increase contribution from software companies to open source projects. Whether or not the particular open source project is "free" according to the FSF's 4 freedoms is orthogonal to that goal. What I laid out in this post is in support of exactly that - whether or not a given open source software project is "free as in freedom" has no bearing on whether or not it is or can be commercialized. @wrowe - Agreed; the commitment of the CodePlex Foundation is to increase contribution to open source projects. We do not claim to be, and are not, a FLOSS organization. We are not opposed to FLOSS/FOSS software technologies or licenses, including the GPLv3. We are in favor of software companies contributing to open source community projects. Thanks for the responses Sam. I think I understand, but can you help me with a further clarification. Would you say that when we look back at the work of the Codeplex Foundation in two years time, we will see that the primary focus will have been open source applications running on Windows as opposed to open source applications running on Linux? If that isn't the case, I'm sure we would all like to hear that there is going to be support for Linux. And if this is about Open Source on Windows, can you understand why many will see this as counter to the goals of both the free software and open source community. I say that because it is my experience that many open source developers are committed to advancing the Linux platform. @Chris M - We'll have to wait and see what projects are offered to the CodePlex Foundation to determine what the primary focus will be. I hope to see support for Linux as well as Windows. In my experience, open source developers are committed to advancing their own projects as well as those projects that are closely related to them. Free software developers on the other hand are consistently committed to advancing the Linux platform. I should point out that my new company (http://sonoasystems.com) produces cloud computing infrastructure based on Linux. There are plenty of incentives for me personally to ensure that the CodePlex Foundation is technology neutral.